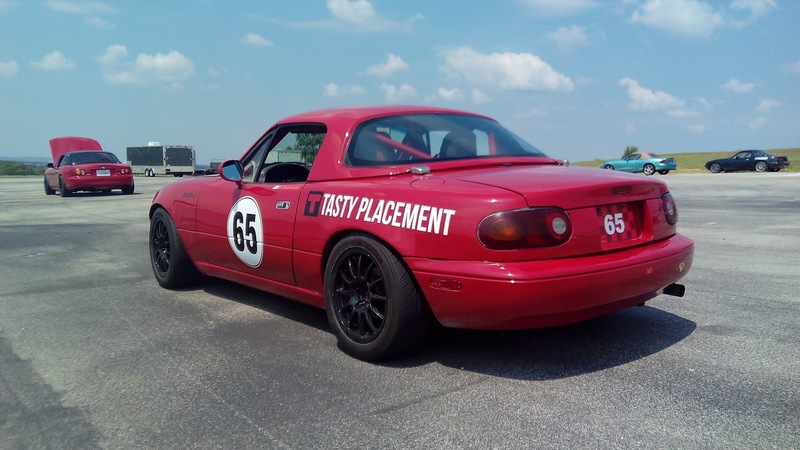 This staff ride is a 1990 Spec Miata that runs in the Challenge series (a slightly de-spec’ed class at the Harris Hill Raceway in San Marcos, Texas). It is outfitted with two Ultrashield Rally Sport seats (2 seats is convenient for frightening passengers). It’s a stock 1.6 motor with a fully caged interior and stock exhaust. The local rules allow for a minor suspension change: Racing Beat lowering springs on stock shock absorbers. 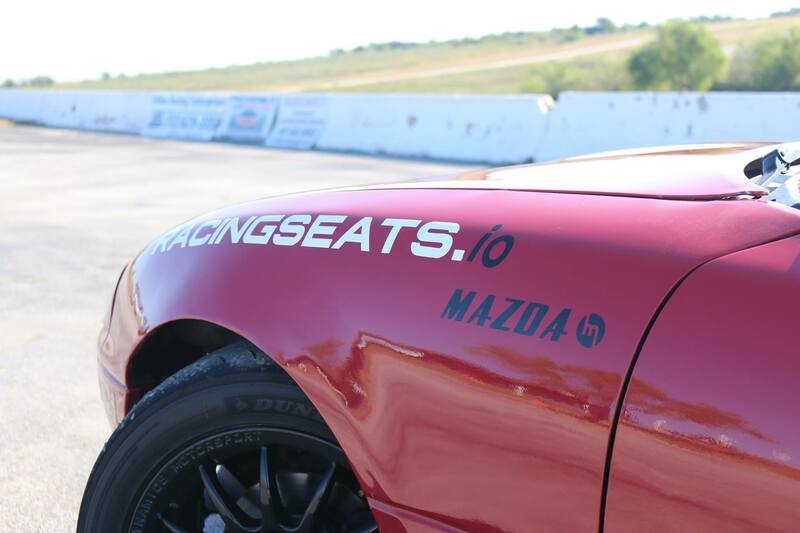 As for seats, these have driver and passenger Ultrashield Rally Sports. These CompositeWorx SP-1s are rare. These were in the car of one of staffers until recently when they were sold to Cody, the marketing guy at Cobb Tuning. These were marketed on the Lotus forums as direct replacements for Exige and Elise seats. They were pricey: about 2,300 for the pair shipped to the US. The miracle of CompositeWorx seats is if you actually ever got them. In late 2013, orders to the US started slowing down, and then eventually stopped, leaving many buyers stiffed out of their deposits. The Lotus forums tell the full story of how CompositeWorx eventually failed to ship a large number of pre-paid orders. But boy, are they good-looking.